Jamie Anderson took home gold in an abbreviated, windswept finals at the 2018 Winter Games. Anderson is now a two-time medalist after also taking the gold in Sochi four years ago. Slopestyle is one of the games’ most challenging snowboard events. Competitors have to build the speed to complete bigger and better tricks, all while filling their runs with grinds and jumps that will impress the judges. This February, Anderson once again showcased her dominance, clinching the gold early and making her second run a victory lap. Jamie Anderson has built a reputation as one of the best female snowboarders in the world. Known for her snowboarding style and strength, Jamie gave the United States a gold-medal sweep in the debut of Olympic Slopestyle competition at the 2014 Sochi Games. She soared to victory in a near flawless run to make history for the United States as the first ever women’s Olympic Slopestyle Gold Medalist. Growing up near Sierra Mountain with eight siblings, Jamie was introduced to snowboarding by her two older sisters, and began riding at the age of nine after convincing her mom that she was old enough. She quickly rose to the top becoming the youngest Winter X Games medalist at age 15, edging out Shaun White by a matter of days. With eleven X Games medals, most recently taking the 2016 Silver in Slopestyle, she notched her fourth slopestyle gold and at the Winter X Games in 2013. Along with her success at the Olympic and the X Games, Jamie was named the women’s TTR World Tour Champion in 2008, 2011, 2012 and 2014, the Winter Dew Cup Champion in 2011 and 2012. 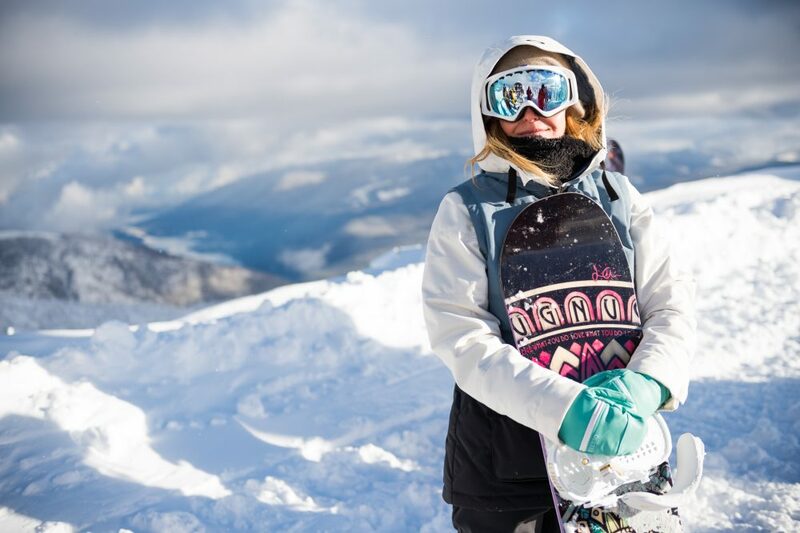 Jamie Anderson, one of the best female snowboarders in the world walks us through her incredible professional journey in an exclusive interview with Namita Nayyar, President Women Fitness.